Google launched its fourth attempt at a social network, Google+, on June 28, 2011 on an invite-only basis. The search giant’s answer to Facebook gained loads of traction early on, amassing more than 20 million users in just three weeks but over time, it became clear that Google+ would fall well short of becoming the next big thing. Trying to pinpoint exactly where Google+ went wrong is difficult. Some point to a clumsy user-interface in which segregating people into Circles felt unnatural. Google’s insistence on injecting Google+ into its other properties including YouTube and Gmail was a bit overbearing and keeping the platform closed to third parties probably didn’t help much, either. Heck, even back in 2011, the social media landscape was pretty well established. Myspace was a distant memory and within just a couple of years, the social media pecking order had largely been established. Google+ wasn’t all for naught, however. As TechCrunch highlights, it successfully birthed a couple of good products in Hangouts and Google Photos. 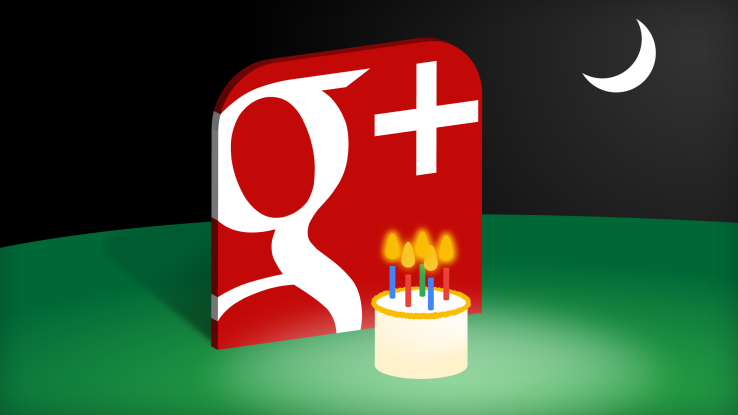 Any bets on whether or not we’ll be celebrating the 10th anniversary of Google+ in another five years?